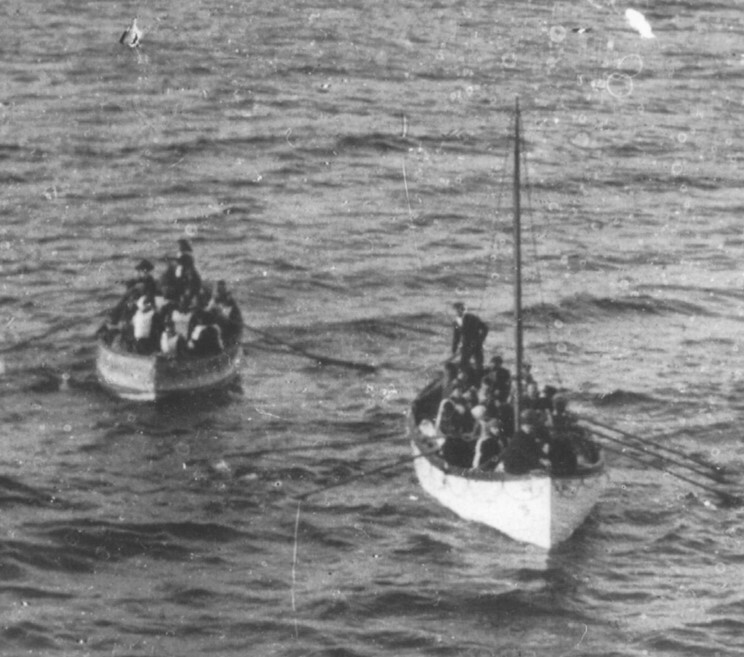 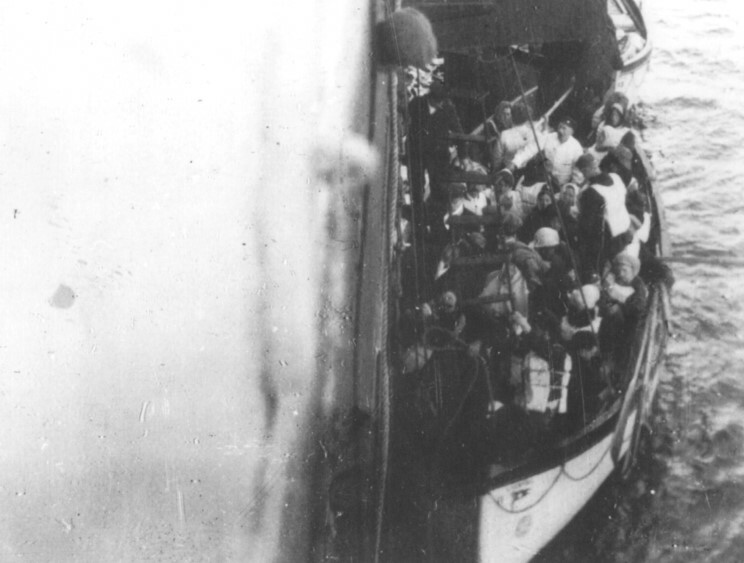 April 15, 1912: Collapsable lifeboat approaching the Carpathia. 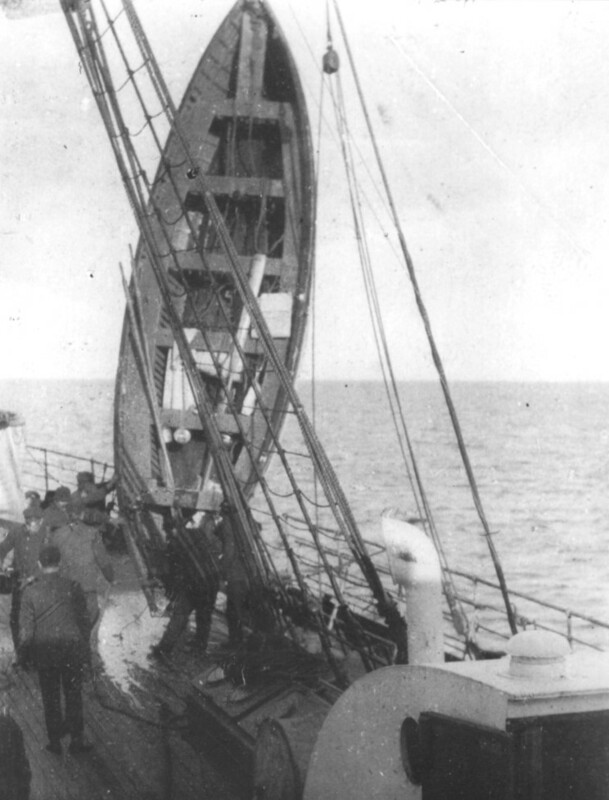 The sail has been taken down on lifeboat number 14 while it tows one of the collapsable boats to Carpathia. 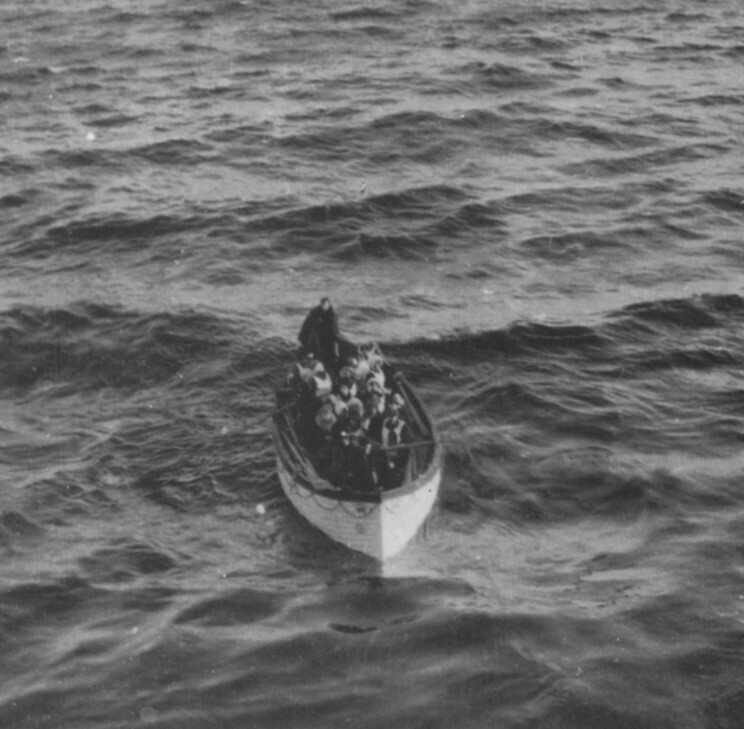 Lifeboat number 6 reportedly carrying Molly Brown approaches the Carpathia. 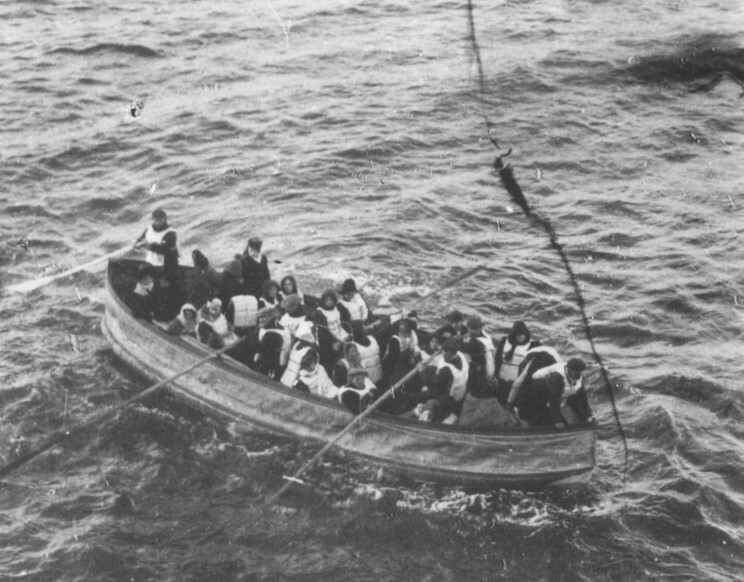 One of Titanic's lifeboats along side the Carpathia.